I didn't always name things or places. Names give a sense of permanence. They imply attachment and commitment. And in my twenties and my thirties, I didn't want to be attached. Instead, I spent those years running. Restless. I tried on places, abandoning them when they didn't fit just quite right. Wanting to believe it was the place that was somehow wrong and not me. I enjoyed not taking responsibility for my life. It was reassuring to believe everything that happened was outside my control--a destiny. Then I woke up. I realized I wasn't ever arriving. I was constantly restarting. Wasting effort. So I stopped. 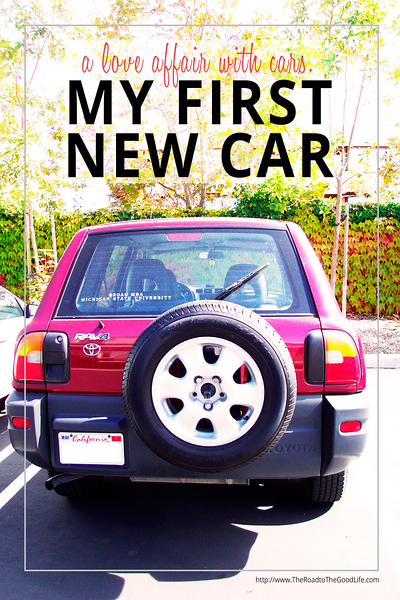 And I started naming, beginning with my first new car. How do you use names? Do names chronicle chapters of your journey? I started naming with a major purchase. While I'd made the purchase years earlier (almost half a decade before), I hadn't given that purchase the consideration it deserved: my first new car. The irony of naming a very mobile object to start putting down roots isn't lost on me. My selection of my car was intentional. I'd just started my MBA in Michigan and was in between. 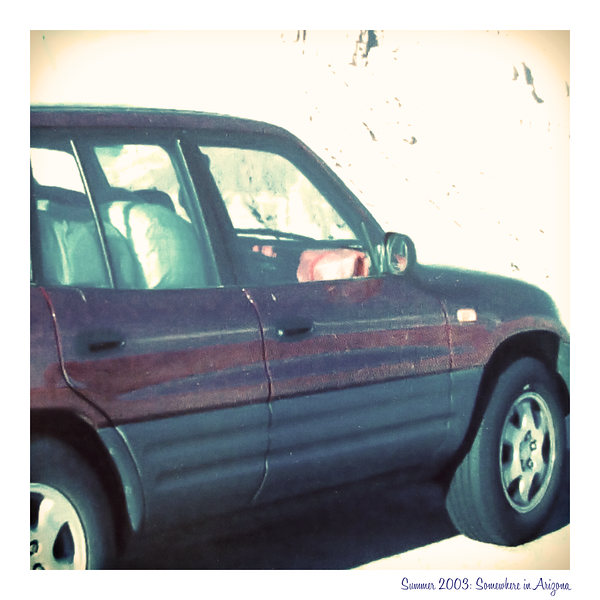 The only constant was my car. I knew where I'd been. I knew where I was. I knew I was going somewhere, where I didn't know. 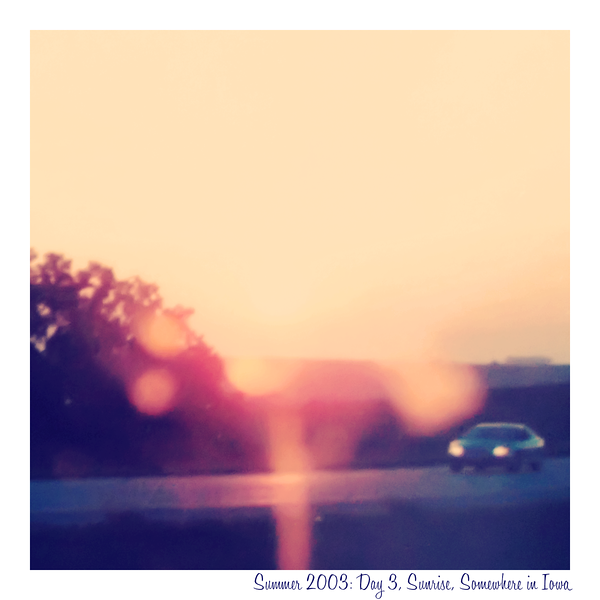 And the connection between where I'd been, where I was, and where I was going--as all my travel involved an interstate--was my car. I named the one companion who ran with me without complaint. 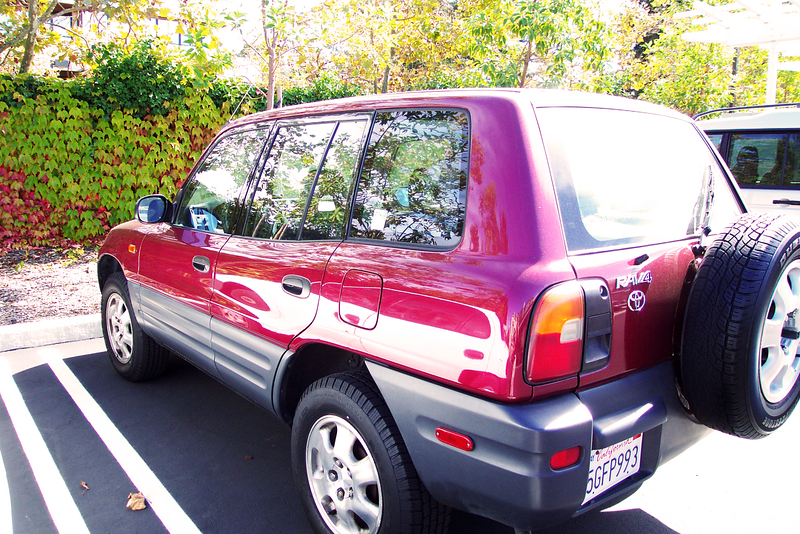 I named my first new car, a 1996 RAV4, Gypsy. 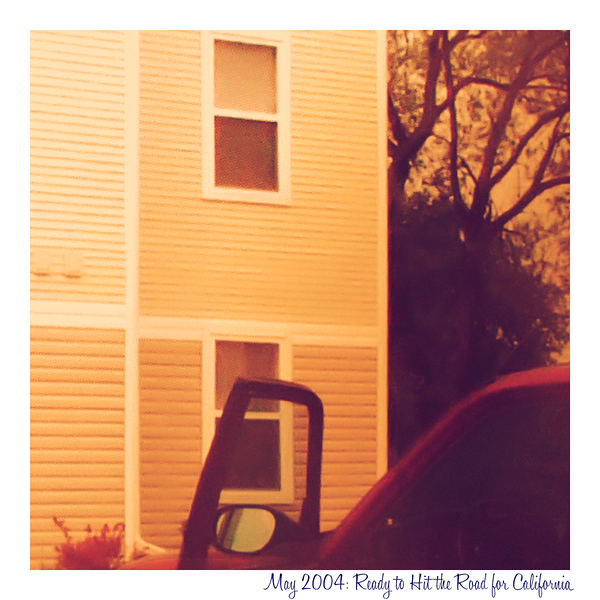 When I named her, she was almost seven years old and had been with me across three states: California, Texas, and Michigan. We'd been through a lot together. Before she got her first license plate, she ended up in the body shop; a distracted parent driving 65 miles an hour an Acura Integra 2-door into stopped traffic (he had turned to talk to his wife in the back seat about their crying infant) and ending up under Gypsy's rear tires. Gypsy's brakes performed marvelously--the emergency brake and my foot pressed down on the brake pedal saved us from being pushed into oncoming expressway traffic. Gypsy saved my life, but it wouldn't be until I began penning The Road to The Good Life (driving away from Michigan State towards an internship in San Diego) that I'd name her. The case could be made that Gypsy was the mascot for The Road to The Good Life. I tossed as much as I could into the back of her, completely filling the rear bench seat and the passenger seat. And I struck out for San Diego. Where exactly in San Diego I didn't know. You see I got the internship offer late. I had about a week to make it from Michigan to San Diego and needed to find a place to live while making my way across the country. To say the adrenalin wasn't flowing as I called apartment complex after apartment complex (very few would rent to students) would be lying. Gypsy didn't fare much better. She routinely had her wheels slashed. And to add to the indignities, got rear-ended as we left San Diego to return to Michigan. (The freeway just west of Barstow was closed as PG&E restrung power lines. Unfortunately, the drunk driver two cars behind us didn't see the stopped traffic and plowed into the car behind me, pushing it under Gypsy. Unlike the Acura, the hood of the American sedan wasn't as low to the ground as the Integra and connected with Gypsy's frame, bending it and pushing the exhaust up towards the cabin of the vehicle. The bike and the bike rack were toast as was the spare tire.) The verdict was grim: Gypsy would be totaled. She was too old, the new model year was a different frame so parts would be near impossible to find. Gypsy and I raced across the country. Pushing forward as many miles as we could cover as quickly as possible before having to pull over at a vista point to clear the cabin of exhaust fumes. Wherever Gypsy and I went we had a purpose--freedom meant arriving in Michigan (and documenting that arrival) by a set non-negotiable date. We survived the odds--we covered the miles between San Diego and East Lansing with a couple of hours to spare. I didn't die of carbon monoxide and she got a reprieve. 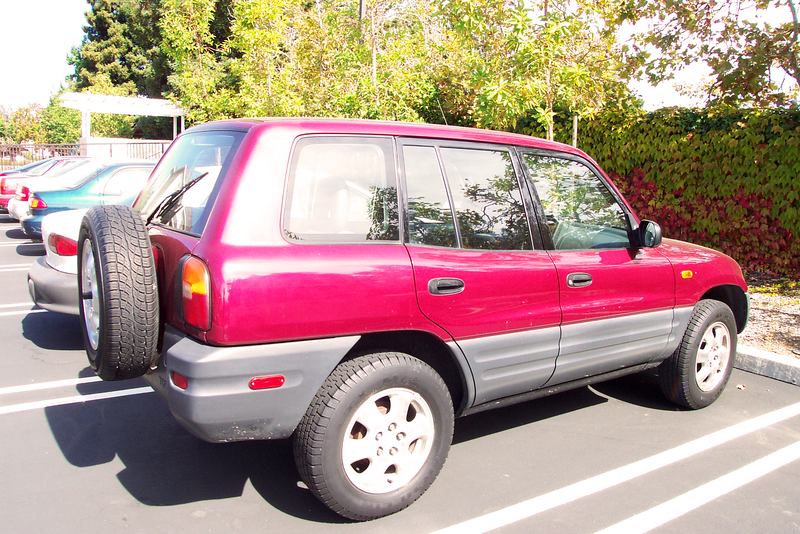 Another same model year RAV4 was totaled a few hundred miles from us. Its only salvageable part? The rear door. My insurance didn't total Gypsy. Instead they pulled out her frame, got the door shipped, attached the new door, and repainted her. I didn't stop running just because Gypsy had a name. And I still avoided attachments. It would take another car before that would happen. But that is a story for another time.